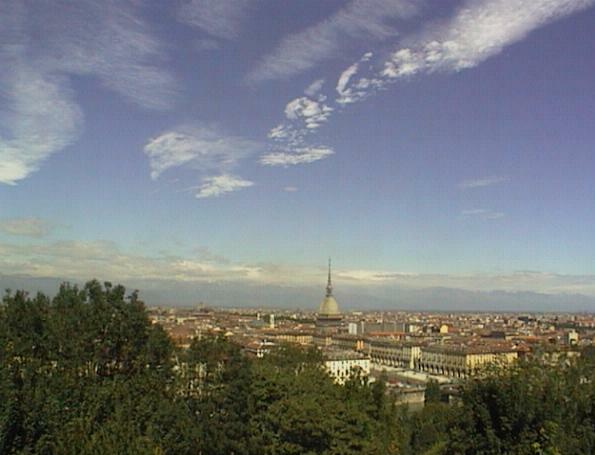 Above: the center of Turin with the Mole Antonelliana. View from Monte Dei Cappuccini. Post-Proceedings of Types 2008 are now open to all interested researchers! Types 2008 was the 2008 Workshop of the Working Group "Types". "Types" develops computer assisted formal reasoning based on Type Theory, with application to programming languages, certified software, and formalisation of mathematics. Types 2008 was held in Villa Gualino, a peaceful Villa with park and a scenic viewpoint, located in the hills facing the centre of Torino, Italy, from March, 26 (Wednesday morning) to March, 29 (Saturday afternoon). Partecipants were housed in the same Villa Gualino housing the Congress, or in two hotels close to the Villa. Types 2008 was colocated with ITRS08 (March, 25, 2008), the 4th Workshop on Intersection Types and Related Systems, a small workshop of the Types project. We invited all members of the project to submit a talk (see the item "How To Submit A Talk"). Early registration was open until February, 17 (look for the items "How To Register" and "Hotel Booking"). The call for post-proceeding, to be published as a LNCS, is now open. The congress schedule is included here. There was a business meeting on March, 27, evening, and a social dinner on March, 28. Prev. : 13. Organizing Committee . Up: 1. Introduction To Types 2008. Next: 2. Invited Speakers . Web Adress: http://types2008.di.unito.it/. E-mail : Acknowledgements: Types 2008 is hosted by the Semantic Group of Computer Science Dept. of Turin University .This site has been generated using a Small Site Generator written in the Mathematica language by Stefano Berardi .